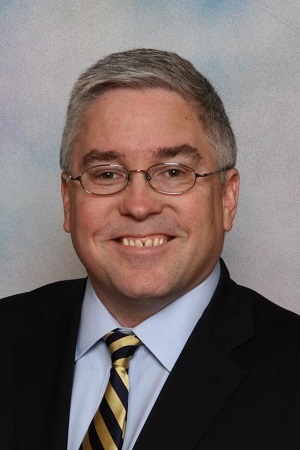 CHARLESTON, W.Va. (Legal Newsline) - West Virginia Attorney General Patrick Morrisey is leading the charge in a lawsuit, filed in a Georgia federal court Tuesday, that challenges a proposed Environmental Protection Agency rule that would extend its authority to all bodies of water. West Virginia is among the bipartisan, nine-state coalition that argues the “Waters of the United States” rule would unlawfully expand the federal agency’s regulatory reach over small streams, land and farms. Morrisey, a Republican, feels the rule, proposed in March last year, could hurt local landowners. “This rule is a staggering overreach by the federal government and violates the very law it claims to enforce,” the attorney general said in a statement. Under the EPA’s proposed rule, the agency’s authority would extend to almost all bodies of water, no matter the size or frequency. In a September blog post on The Huffington Post, EPA administrator Gina McCarthy said 60 percent of the nation’s streams and “millions” of acres of wetlands lack protection from pollution under the EPA’s Clean Water Act. McCarthy called the new rule a “fix” to the problem. Morrisey argues that the proposal would extend the EPA and Corps of Engineers’ regulatory jurisdiction to an “untold” number of small bodies of water, including roadside ditches and short-lived streams -- or any other area where the agencies believe water may flow once every 100 years. “The way this rule is written creates a series of absurd scenarios for which people can be fined,” the attorney general explained. “If you dump a wheelbarrow of dirt in the creek bed behind your house, and you don’t get a permit first, you could be fined, even if that creek was never previously subject to federal regulation. Failure to comply with the new regulations could result in fines of up to $37,500 a day, Morrisey said. Joining Morrisey in filing the 36-page complaint in U.S. District Court for the Southern District of Georgia were the attorneys general of Alabama, Florida, Georgia, Kansas, Kentucky, South Carolina, Utah and Wisconsin. The states argue the final rule put out by the EPA and Corps of Engineers violates the CWA, the Administrative Procedure Act and the U.S. Constitution, and usurps the states’ primary responsibility for the management, protection and care of intrastate waters and lands. “The Agencies’ unlawful attempt to expand their authority to broad categories of non-navigable, intrastate waters and lands imposes great harm upon the States and their citizens,” the attorneys general wrote. Under the CWA, the EPA and Corps only have the authority to regulate “navigable waters.” As the attorneys general argue in their lawsuit, Congress gave the states the responsibility of regulating other waters. The states are asking the federal court to declare the proposed rule illegal and issue an injunction to prevent the agencies from enforcing it. They also are asking the judge to order the agencies to draft a new rule that complies with the law and honors states’ rights. U.S. Sen. Shelley Moore Capito also has questioned the rule. Capito, R-W.Va., told McCarthy during a Congressional hearing in February that bringing “ephemeral waters” into the rule brings confusion and uncertainty. Capito said she fears the new rule could hurt future farming, highway and road construction projects in the Mountain State. Not to mention, the state’s oil and natural gas industries could be dealt a blow, she said. The U.S. Supreme Court has twice rejected the agencies’ attempts to expand their authority -- in Solid Waste Agency of Northern Cook County v. Army Corps of Engineers in 2001 and Rapanos v. United States in 2006.